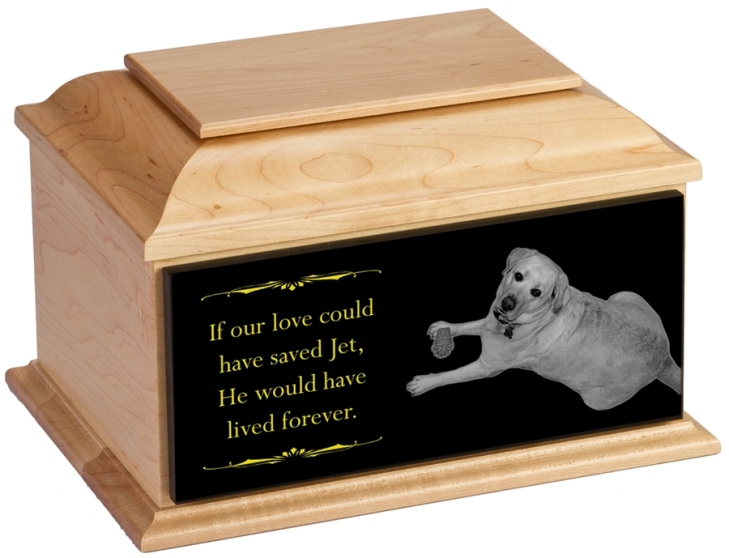 Our exclusive Etched In My Heart Cremation Urn is available in Cherry, Walnut and Maple wood. 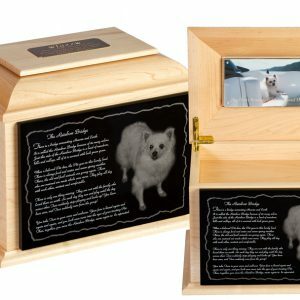 The options are best described by viewing the urn in four parts. 1. Top Plate 2. Front Plate 3. Inside Lid 4. Inside Tray. 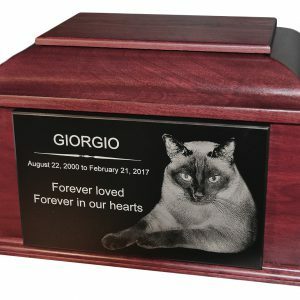 Components that can be added to the Memorial are as follows: 1. 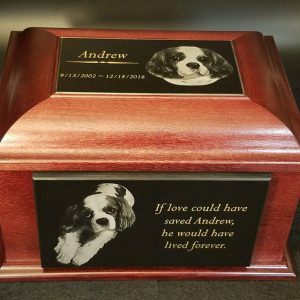 Engraved Marble 2. 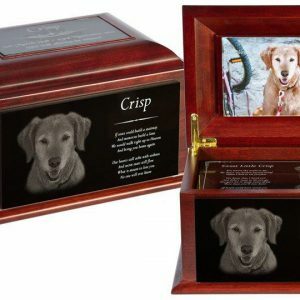 Engraved Picture Frame 3. Engraved Plaque 4. Engraved Nameplate 5. Wood Engraving.